The new edition of Form I-9, dated July 17, 2017, is available on the USCIS website and becomes mandatory on September 18, 2017. Employers can continue to use the November 14, 2016 edition of the form through September 17, 2017. As expected, USCIS today issued a revised edition of Form I-9, Employment Eligibility Verification, dated July 17, 2017. The new edition will become mandatory for employers on September 18, 2017. Employers may continue to use the November 14, 2016 edition of the form through September 17. The new form and the USCIS employment verification regulations have been updated to add State Department Form FS-240, the Consular Report of Birth Abroad, as a new List C document. Employers can accept Form FS-240 as an I-9 document starting today. USCIS has revised the I-9 employer handbook (M-274) to reflect the change. Notify personnel responsible for I-9 verification that, effective July 17, State Department Form FS-240 can be accepted as a List C document to establish employment eligibility. By September 18, 2017, make sure that the July 17, 2017 edition of Form I-9 is integrated into company employment verification systems and processes. 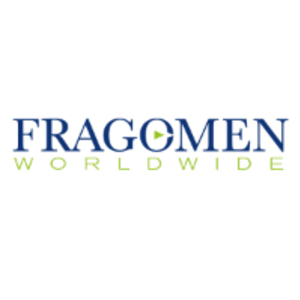 If you have any questions about Form I-9 verification, please contact the immigration professional with whom you work at Fragomen. This alert is for informational purposes only.